Account is up to date. This is a fantastic prize. E:31/12/14, Anar Naturals | Win 1 of 10 Gift Boxes, RRP £29.95 each. Please note that you are the lucky winner of 1 of the 10 luxurious gift sets offered by Anar Naturals and the prize will be dispatched to your delivery address in the coming days. Enjoy your sumptuous bundle and we are looking forward to reading your reviews! Enjoy the rest of the festive season and best wishes for the New Year! Please note that you have been short-listed for this trial and a 13.5ml pot will be dispatched to your delivery address in the coming days. Could you please let us know if we could amend the format and layout of these texts. If yes, could you email us the full size photos used? Feedback from SamBrez: That is absolutely fine with me, I don't mind at all. It's juts the format it came from my blog. I will email over the pictures now. Feedback from SamBrez: Just what I need! A really good mask to nourish my hair! Please note that you are the lucky winner of 1 of the 2 luxurious gift sets offered and your details will be emailed to The Rose Tree very shortly. Feedback from SamBrez: Oh my gosh, I am absolutely delighted!! Can't wait to try it all out and review!! Please note that you have been short-listed for this prize and the item No6 will be dispatched to your delivery address next week. Feedback from SamBrez: Thank you so much, can not wait to try this! Thank you for your recent listings and reviews. Please note that the Scholl Velvet Smooth Pedi Electric Hard Skin Remover was added to the catalogue by another member a few days ago. Kindly transfer your review from here to this there. Feedback from SamBrez: Sorry, couldn't find the other listing. Feedback from SamBrez: Thank you kindly, received it and already started trying it. Can't wait to review! E:30/11/13, Spotner | Win 1 of 14 Anti Agespot Appli-Pen Hands & Body. Kindly note that you have been short-listed for this trial and your full-size sample will be dispatched to your delivery address in the coming days. Feedback from SamBrez: Absolutely love this product, going to give it another week and review! Kindly note that you have been short-listed for this trial and the item No2 will be dispatched to your delivery address in the coming days. Feedback from SamBrez: Thank you very much, really excited to try this! Kindly note that you have been shortlisted for this trial and the item No2 was dispatched to your delivery address today. Enjoy and review! Best regards. Dear SamBrez. Please note that you’ve been short listed for June’s trial. A full size sample of the Melvita Organic Moisturising Rose Nectar will be sent to your home address by Recorded Delivery 1st class today. Enjoy and Review! Kind regards. Dear SamBrez. Please note that you’ve been selected for May’s trial. A 25 ml sample of the Ren Neroli and Grapefruit Body Cream was sent to your home address by 1st class. Enjoy and Review! Kind regards. Feedback from SamBrez: [Edited by Site Moderator]: I got it today, thank you kindly! gypsonic was our most active member last and she is the winner of the Neal's Yard Remedies English Lavender Bath & Body Care Collection. However, with 258 reviews and 134 listings you were our most active reviewers and we will happily dispatch a NYR's gift set of similar value to you in the coming days. gypsonic was our March 2012 star member with over 640 postings and the winner of last month prize: A Lancôme Trésor In Love Gift Set . It was most difficult to select a clear 2nd winner so we decided to send a surprise gift to both you and mixnmatch1 for your latest contribution. Both of you truly deserve much more than this small token of our appreciation for your hard work. Enjoy your present! Kind regards. Hi SamBrez. Thank you for your interest in the Mar12 trial. Please note that we have dispatched a full size sample of the Melvita Organic Eye Make-Up Remover and a voucher to your home address. Kind regards. Hi SamBrez. Thank you for your interest in the Feb12 trial. Kindly note that we have now dispatched the Helen É Cosmetics Eyeshadow. Kind regards. Feedback from SamBrez: Thank you very kindly! Dear SamBrez. Thanks to you, we are about to run a new campaign for Helen E Cosmetics. Billions of thanks for your advice. Feedback from SamBrez: Oh awesome! So glad you managed to get a campaign! Any more I come across I will let you know! Dear SamBrez. With 180 listings, 286 reviews and 55 threads, you are the winner of our January 2012 prize, the Vera Wang Lovestruck EDP Gift Set. Congratulations! Hi sambrez Just wanted to say congrats on your blog. I checked it out today and it looks great. Feedback from SamBrez: Hey thank you very much, I deleted one I had for a long time and started up a new one. Thought I could make one better and from scratch. It will be changing frequently over the next few weeks as I properly set it up and finally decide on the look for me. Thank you for your message. Enjoy your break and make the most of it. We hope you're going to a sunny and exotic destination. Have a wonderful time! With 126 listings, 137 reviews and 16 threads, you are our December 2011 winner of the Lancôme Skincare Travel Set. We are very grateful for your time and effort spent to share your knowledge with others. Congratulations and Best wishes for 2012! Feedback from SamBrez: Thank you very much! And most welcome! Please note that your Soap & Glory The Breakfast Scrub listing have been duplicated by a newcomer. Unfortunately, before we spotted the error, 2 reviews been posted on the 2nd listing against 1 for yours. As a result, we suggest to keep the 2nd listing and we would appreciate if you could possibly re-post your review of this product on the duplicate. Feedback from SamBrez: Ooh yes, haha okay I have now just put my review on the other so you can delete the one I posted. Thank for your email. We'll contact Proactiv for samples. We'll then give you an update if and when we receive a reply from them. Kind regards. Feedback from SamBrez: Awesome, good luck and I hope they agree! Thank you agreeing to the conditions attached to Melvita's offer. We'll post your sample very shortly. Kind regards. With 115 listings, 268 reviews and 14 threads, you are our November 2011 co-winner of the Christian Dior Ladies Miniature Fragrance Gift Set. We are very, very grateful for your time and effort spent to share your knowledge with others. We believe ours members would benefit greatly from your expertise. Feedback from SamBrez: Thank you so much, I am absolutely delighted! Thank you for reporting the forum spam. The thread has now been deleted. Kind regards. Feedback from SamBrez: You are most welcome. Had it before when I used to moderate a site. Can be a total pain! Our community is growing and as a result the team is currently spending most of its time assisting the new members. We should be able to start moderating your latest listings by the end of the month. In the meantime, we would highly appreciate if you could possibly accept our offer to become a permanent member of our panel of testers? If you agree, we would modify you avatar to add your new title. Many thanks for your first listing. We always encourage our most active members to post their favourites provided that they couldn't be found in our catalogue. We note that your profile in now completed and we will organise the dispatch to your home address of a Thea Skincare Skin Brightening Fruit Enzyme Creme Moisturiser 15 ml sample, next week. Feedback from SamBrez: Awesome, thank you so much! I hope my reviews and product info is of good help to the site. Can't wait to review this product. A very warm welcome to SamBrez from the team! - Start reviewing today to increase your chance of winning this month prize: A free Christian Dior Ladies Miniature Fragrance Gift Set. 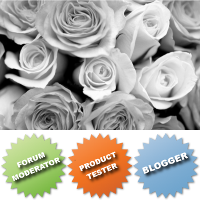 - Would you like to join our panel of testers? Read how to apply here. - Tutorials are available in the FAQs section. - If you experience any problems while using this site, please do not hesitate to contact us. This profile has been viewed by 39 users and 1279 guests.